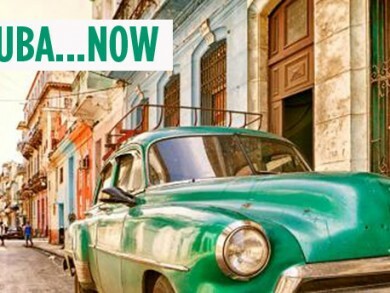 Escape to Cuba : Now! A winter trip is many times very necessary for the health and for the soul. Choosing a destination is another cumbersome task. We usually book trips based on how many dollars we can spare but after paying attention to the news on the developments with Cuba and the U.S, I begin to think an impromptu trip is in order. With all this hype about Costa Rica unexpectedly dominating in the world cup, I thought it would be appropriate to share how incredible this country really is. Lying between Nicaragua and Panama, this international tourism hot-spot is bordered by both the Pacific Ocean and the Caribbean Sea. Costa Rica offers an experience far from your typical all-inclusive vacation and has plenty to offer for every type of traveler.